'Alba' has pretty white flowers up to 2cm in circumference, and oval, dark green glossy evergreen leaves, growing on upright stems. 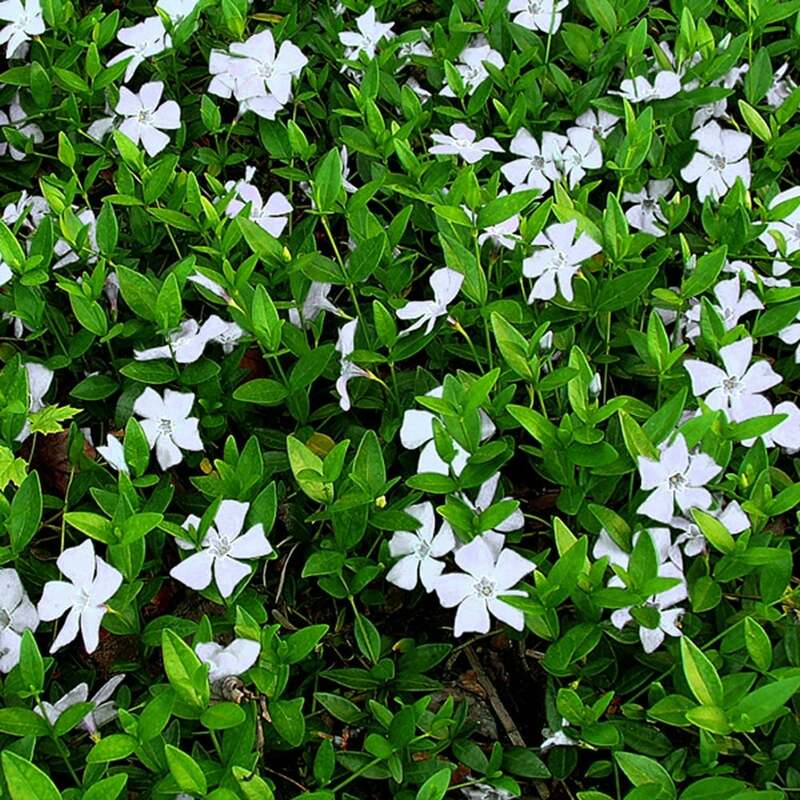 Can be invasive, but great as a groundcover, or weed suppressant on banks, and in borders. Happy in semi-shade, or sun.